The petition, “Pour une baisse des prix du carburant à la pompe ! (For a drop in the price of fuel at the pumps)”, was created by Priscilla Ludosky and published on the website Change.org France. At the time of writing, it has gathered over 1.16 million signatures - and still growing - and Ms Ludosky has become one of the most well-known faces of the gilets jaunes movement. Mr Macron has now responded directly to the petition, on the website itself. The President said he recognised “the gap that has opened up bit by bit between the public and its leaders”, which was, he said, a problem that he had “not yet managed to solve”. 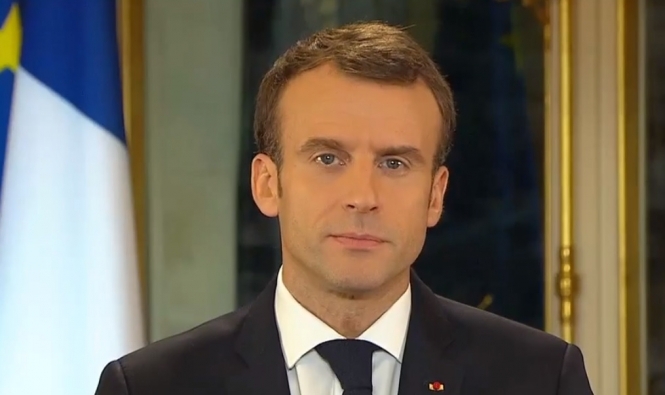 The President then invited the petition’s signatories to “leave their email address” on the Elysée website to “receive regular updates that affect you”. Ms Ludosky does not appear to have responded yet, but is continuing to protest in person too. She has called for a border blockade in France this weekend (Saturday December 22), in a movement dubbed the “gilets jaunes d’Europe” protest. Her petition is currently the second-most-signed on the Change.org France website, just behind the “Loi travail, non merci (work law, no thank you)”, which gathered 1.3 million signatures against the Loi Travail of previous President, François Hollande.